Browse our lab ovens with easy and secure ordering online. Humboldt carries an extensive line of laboratory ovens to fit the specific needs of the materials testing laboratory. We carry several manufacturer's models so you can compare and make a decision on the best oven for your particular need. To that end, we have developed this Oven Selector Wizard to help make comparing and choosing an oven easier. Just choose what your needs are from the drop down menus of the wizard and it will present you with several choices that will accommodate your needs. Our laboratory oven offerings include fan-forced and gravity convection ovens from small 0.6 ft3 models to large 36 ft3 models. 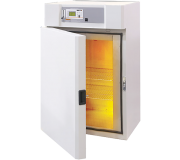 These laboratory ovens are also available in models that provide up to 550°F maximum temperatures. 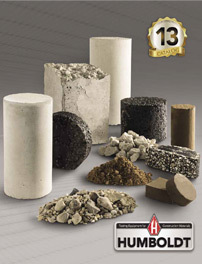 All our ovens are built to withstand years of heavy use and most are ideal for soil and asphalt testing applications. Select your values to quickly view your available options. You can pick any or all criteria, or any combinations thereof. Quality fan-forced circulation ovens feature double-wall construction and heavy, welded-steel exterior. Digital microprocessor control ovens feature cabinets that are attractive and durable. The digital control combines the features of the analog model but offers the stability of a full PID microprocessor. Lrg. Cpty. Bench Ovens, Digital Cntrl.